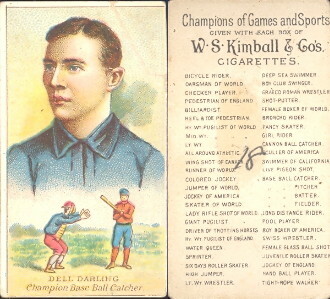 1887 N184 Kimball champion athletes cards. 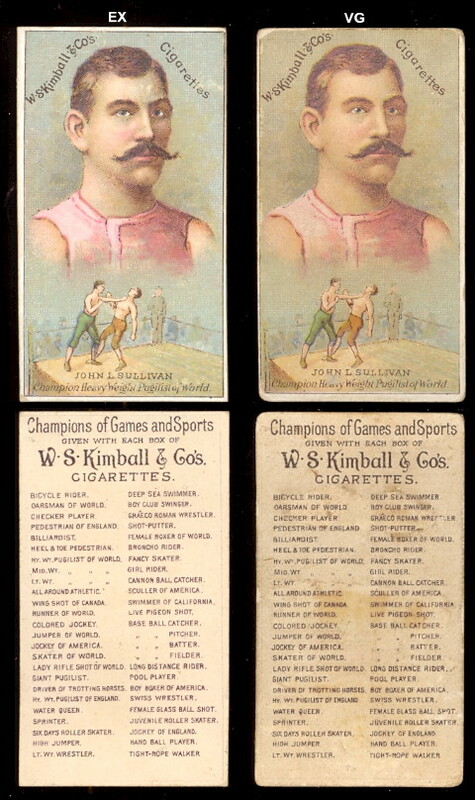 Issued by the Kimball Tobacco co., of Rochester, N.Y., the 50 card set was titled "champions of the games and sport" in 1887. 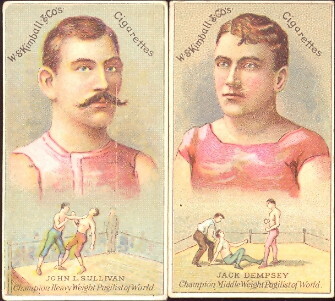 The cards measure 1-1/2" X 2-3/4" and the set includes four baseball players, billiard shooters, girl riders, tight rope walkers, boxers and wrestlers, track and field stars and others. As you can see in the images, the cards feature a portrait with an action image and there is a checklist on the back.